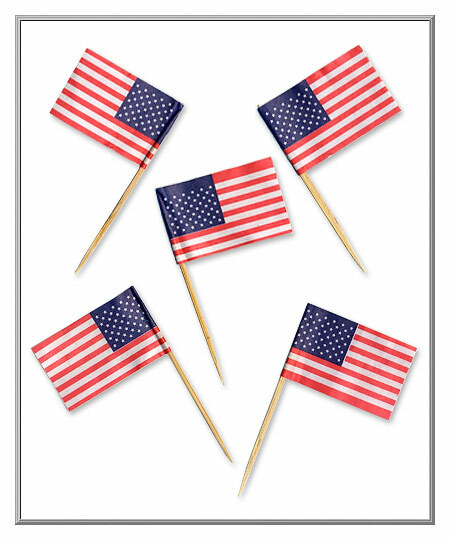 Printed with the Stars and Stripes on both sides, these novelty American flag picks are patriotic party accents that are nifty to use for crafts projects and decorating, too. 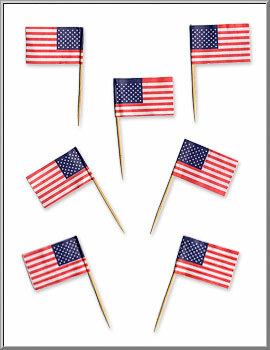 Fun for patriotic events and Fourth of July barbecues, the food safe paper flags are attached to thin natural wood toothpicks. flag is 1½" wide by ¾” high.